Want to send out different emails depending on what a user selects in your form? 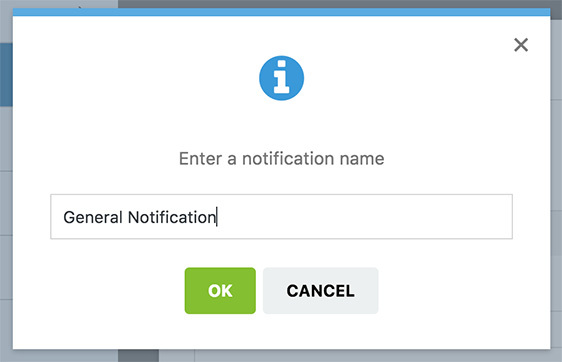 With our smart conditional logic, you can set up your form to send out notifications based on users’ input. In this article, we will show you how to create conditional email notifications with an example. In this example, users will be able to direct their inquiries to a selected recipient. 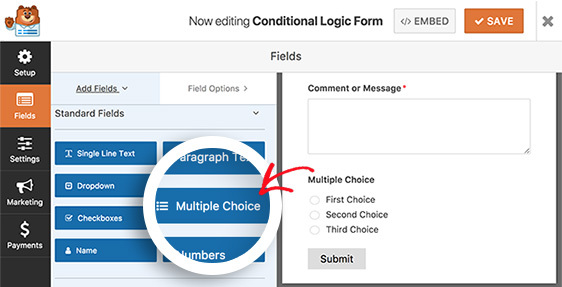 To get started, we’ll create a form and add a Multiple Choice field to the form. 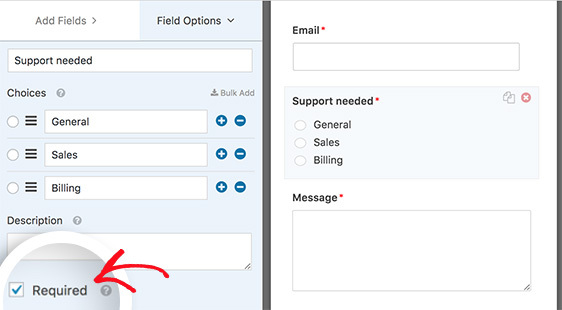 In the Field Options for the Multiple Choice field, we’ll rename the field to “Support Needed”, and the choices in the field are renamed to “General”, “Sales”, and “Billing”. Next, scroll down to set the field as Required so the user doesn’t miss selecting an option. Once you’re done adding the fields to the form, you’ll need to create a notification and configure its settings. To begin, go to Settings » Notifications and click on the Add New Notification button at the top. In the popup window that appears, we’ll name the notification “General Notification” for easy identification. Then, add the specific email address for the notification in the Send To Email Address field, such as general@yoursite.com. 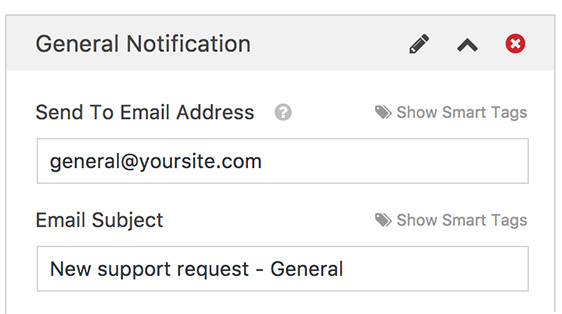 You can also add other details for the rest of the notification settings. In the notification settings, scroll down to select Enable conditional logic. To enable the notification to be sent out when users select the General option in the form, set the conditional logic to “Send this email if Support needed is General“. Once you’re done setting up the notification, click on Add New Notification to repeat the above steps for the Sales and Billing contact options. That’s it! You have just created a form with conditional notifications. Next, you might want to check out how to set up form confirmation to help inform users that their form submission was successful and guide them on next steps.